Due to a copyright complaint, links to Japanese Anime or Manga, Title(s): Shingeki no Kyojin/Manga are forbidden. Quick thinking from Eren. He's changed a lot from the raging teen. Armored Titan still in depression state. Supporter of the situational Blink Dagger on Storm. Eren is just so good. the man don't waste time, he just act immediatly without thinking. Now he has the power of the most powerful titan. what of Zeka now ? I get the feeling that Gabi will shoot and kill someone important. Maybe even Levi or Mikasa. Would be hilarious if she just straight up dies like how every other character dies though. Nah Gabi is going to be a main character along with the main cast. She might be able to take down the blimp if she puts enough holes in the right places. Was not expecting Pieck to survive. In real life, an airship of that size can take hundreds of bullet shots and stay aloft for hours sinking slowly. Of course this isn't real life. It's more realistic to think that Gabi ends up taking out a main character, because it seems that her and several other of her compatriots seem to have just survive plot armour. They are the new main characters, and everybody else exists to die to show what a horrible world it is. Hah, I agree. At this point I want Paradis people to have their revenge. All of Marley can burn for all I care. Maybe she can shoot the engine or a fuel tank? I feel like Isayama is hyping her up to do something besides give people nasty looks. Tbh, I was pretty impressed. People see one panel of Sasha and Gabi locking eyes and they are like "welp, Gabi is going to kill Sasha"
everyone is so sad about potato girl that no one's talking about zeke?? Never liked Sasha or Connie that much, tbh. I hope he joins her soon in the afterlife. 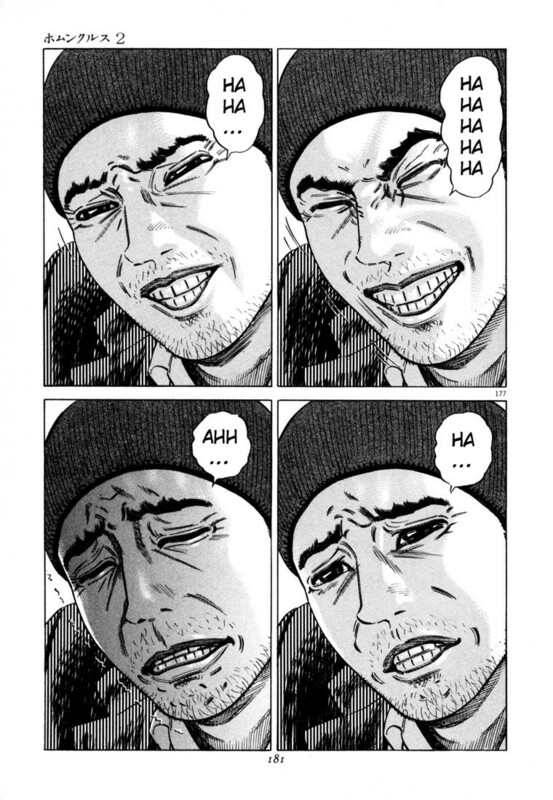 Unfortunately, Isayama is no Oda and you can predict him from a mile away. Everyone knew Gabi was going to kill Sasha and everyone knew Zeke was working with the Walldians. No real surprises. What I want to see is Flocke become the next villain. He seems to be super gung ho about this war that they just started. Maybe he's going to betray everyone in the end and start some sort of rebellion? I could see it. Also, literally all Eren needs to do to "win" right now is eat Zeke and release the wall titans and trample over Marley. I doubt he will though, seeing as how he's been saying "we're all the same" and whatnot. Still, it'll be interesting to see what happens. The part about Zeke working with them was implied from the beginning with the letters, I wouldn't call it all that subtle. It was nice that it was done indirectly rather than in your face, and shown under the noses of other Eldians too, and everyone's going to dissect every panel anyway, so I'm certainly not complaining about that one. 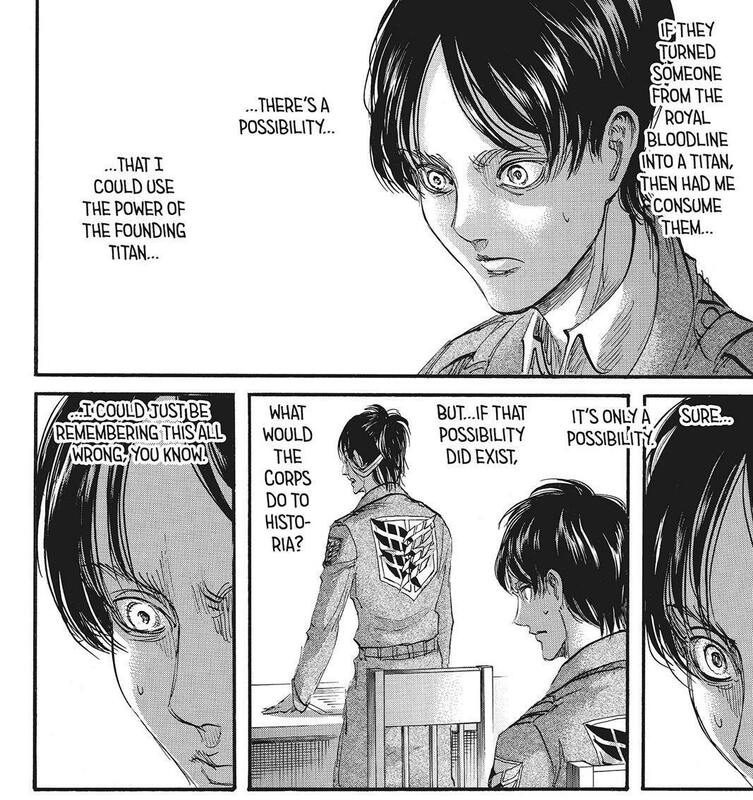 Also the point would be closer to Zeke (with royal blood) eating Eren, since they need that part to actually control the titans. If Eren eats Zeke nothing will happen, since he doesn't have royal blood, and if Zeke eats Eren he will be possessed by the spirit of the 145th king. So they both need to stay alive. You guys don't remember this? The panel is wrong. Apparently Isayama made a mistake which he corrected right afterwards.